Well what do we have here? Bugatti has existed in three different forms. First, Ettore’s original company, which built cars up to the war. Ettore died soon after it ended and the company fumbled along until closing its doors in 1952. But alas! Romano Artioli revived the marque in the late 1980s – in Italy. He built the over-the-top EB110 supercar through the mid-1990s. Then in 1998, Volkswagen bought the brand name and revived it again for the 2006 model year. 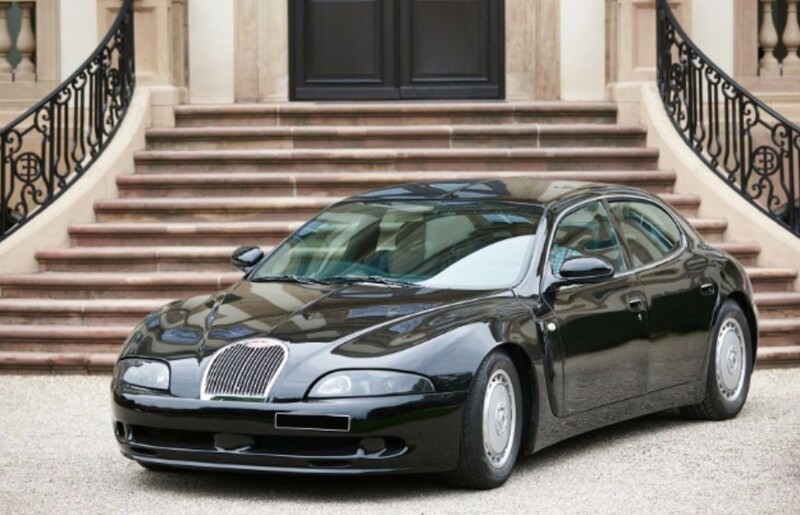 This car is listed as a 1999 – which you’d think means it was built by Volkswagen. But no. The EB112 was shown as a concept car in 1993 at the Geneva Motor Show. It never reached production and as the second chapter of the Bugatti story came to a close, three such EB112 super sedans were in the factory in some form. When the assets were liquidated, Monegasque businessman Gildo Pallanca Pastor bought all three. In 1998, his racing team managed to complete two of the cars (hence why it is listed as a 1999). One was sold to a Russian collector and this one was retained by Pastor. The engine is a 6.0-liter V-12 making 455 horsepower. Sixty arrives in 4.5 seconds thanks to all-wheel drive and the car tops out at 186 mph. It’s an incredible performer considering it’s a large, luxurious sedan designed in the early 1990s. It is in perfect condition and is one of those cars you’ll never get another chance to grab. Artcurial isn’t even publishing an estimate. This is a mind-blowing chance. Click here for more info and here for more from this sale. This entry was posted in Uncategorized and tagged 1999, artcurial, auctions, bugatti, cars, classic cars, eb112 by classiccarweekly. Bookmark the permalink.